How much do you spend on your weekly food shop? The UK’s average weekly food shop per household is £54, more than £7 of which is fresh fruit and vegetables. If you buy organic produce the cost could easily double, and it’s predicted that prices may rise by up to 8 per cent after Brexit. But growing your own fruit and veg not only reduces your food bill, it’s far healthier and better for the environment. We’ve been taking a look at the most cost-effective vegetables to grow at home, and it turns out curly kale and tomatoes are the top of the crops for cash-conscious gardeners. With supermarkets charging around £1 for 100g of kale, if you grow your own you’re on to a winner. A pack of kale seeds costs as little as £1, the plants grow quickly and can be harvested inside six weeks. Remove tough spines, shred the leaves and lightly steam, season and serve with a knob of butter and a squeeze of lemon juice. Young leaves from this superfood can be chopped into a salad for an iron boost. Tomatoes are the perfect choice for a small garden as they can be grown in pots or grow bags and are prolific producers. If you like a leaf of lettuce or two with your tomatoes, save yourself around £40 with a packet of seeds that will provide a five-month supply if you stagger your plantings throughout the season – not bad when you consider that supermarkets charge up to £2 for a bag of lettuce. If you grow your own asparagus you’re in it for the long term, as it takes up to two years for the plant to fully mature and start to produce the tasty spears, but will go on producing for up to 20 years, saving you up to £16 per kg in the process. The average Brit eats 429g of potatoes, and by growing your own you could be saving upwards of £11 a year. Potato plants also have a happy knack of suppressing weeds and breaking up previously uncultivable soil, plus nothing beats homegrown potatoes for flavour. 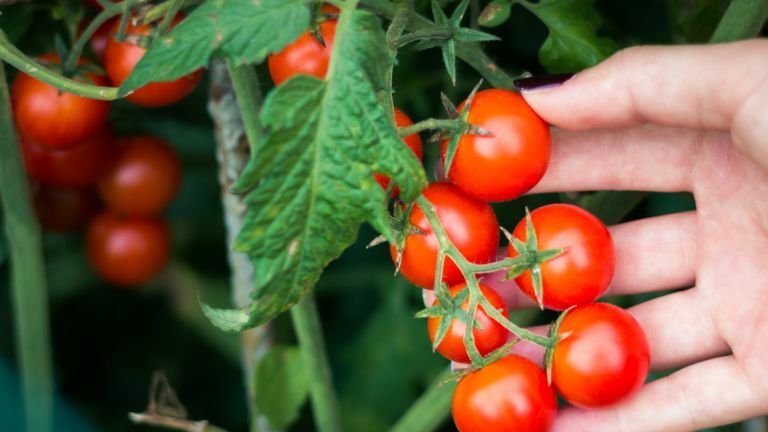 If you’d like to know more about when to plant and how to grow your own vegetables, Anglian Home Improvements has put together a handy guide.